For lovely baby Nila it was a very long day at Sheba today. We took Nila to the Emergency Room as she has not been well this weekend and has had some episodes of fever. 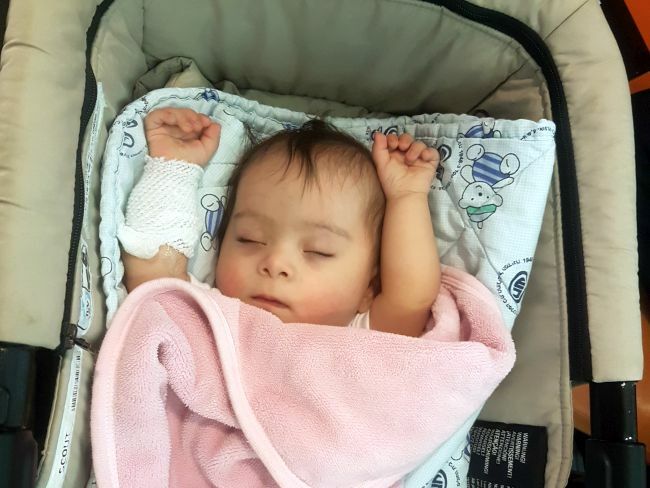 For Nila’s mum it has been particularly difficult and an emotionally testing time having only just arrived in Israel. It must be very scary for her being in a foreign land with a poorly baby and having to place her trust into the hands of a group of people whom she doesn’t know and can’t fully communicate with. I hope and trust that Jesus has been able to work through us in the community this weekend to show that we really care about this precious baby and her mum. The emergency room nurses and doctors were very kind as they set about helping Nila. 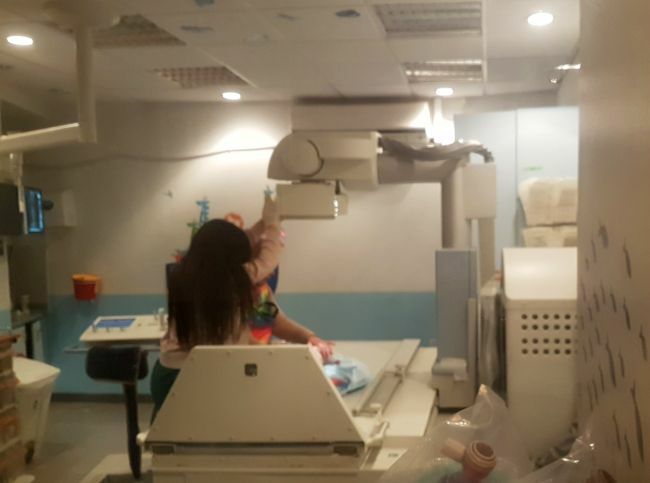 She had many tests carried out on her including a chest x-ray and a very long blood test! Mum took many pictures and video called home to keep her family up to date with all of the things going on. It took quite a long time for Nila’s blood test results to come through. As we waited we met a few mums from Gaza, some of whom we know because they have shared rooms with Shevet children others we were meeting for the first time. Despite not speaking the same language, these ladies embraced Nila’s mum and were very kind to her. I have found many times in my months of visiting Sheba that the mum’s from Gaza often make you feel like you are part of a community all in hospital together all hoping for the best for one another’s children. Nila’s blood test results came back clear from signs of infection. 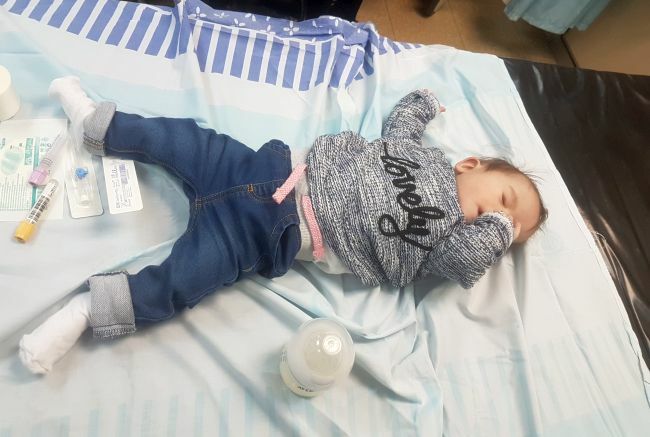 However, the doctors were concerned that Nila was quite dehydrated and they made the decision to admit her. This can always take quite a long time as the hospital try and find a bed for a child and as we waited we were able to show Nila’s mum around Sheba a little. Please pray for Nila and her mum as they spend there first night and day in hospital. Please pray that Nila is able to break this cycle of fevers and that she has a good appointment with the cardiologist tomorrow.